Tomb-sweeping Day (Qingming Festival) is around the corner, an occasion for us to honor our ancestors at grave sites. 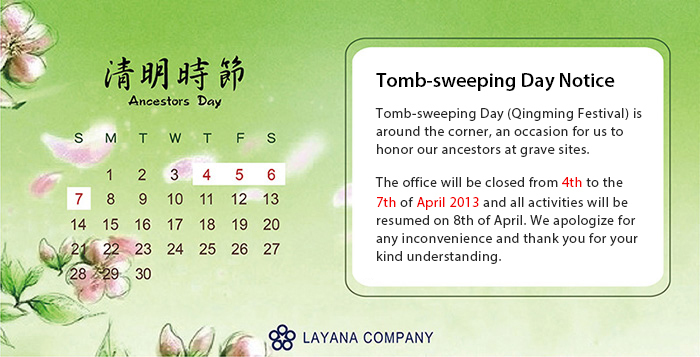 The office will be closed from 4th to the 7th of April 2013 and all activities will be resumed on 8th of April. We apologize for any inconvenience and thank you for your kind understanding.